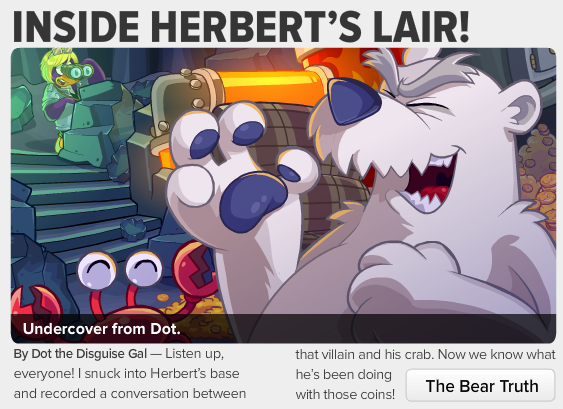 Club Penguin Times Newspaper Issue #423! 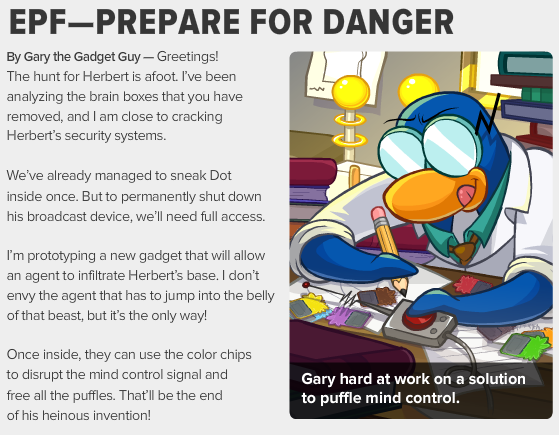 Then Gary tells us about a machine he is working on that will free all the puffles. 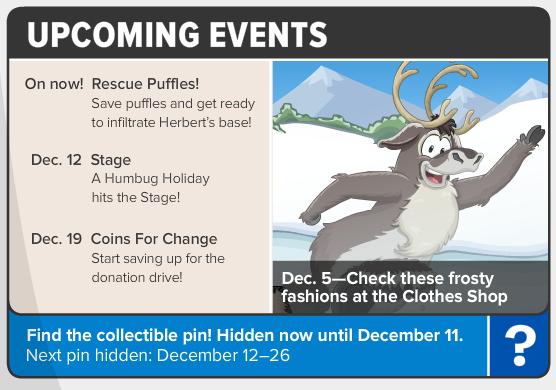 Then their is cool upcoming events including new Holiday clothes at the gift shop! 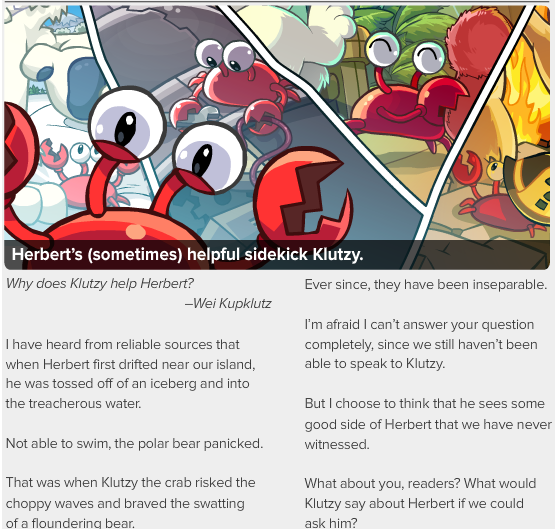 Then on the 2nd page Aunt Arctic tells us why Klutzy is Herbert's sidekick. 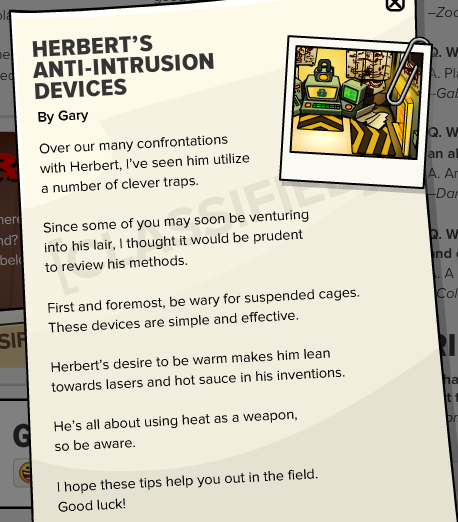 Also this weeks secret is about Herbert's traps. 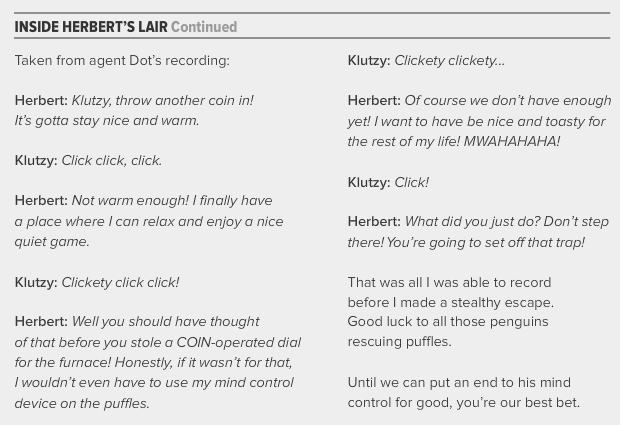 I really enjoyed reading about inside Herbert's lair! What was your favorite part? Let us know in the comments below!